My horse keeps getting quarter cracks. What typically is the best thing for my farrier to do to help the crack? Is there something I can do to prevent them? There are various causes of quarter cracks. We must determine the cause of the quarter crack in order to successfully manage the susceptibility for its recurrence. 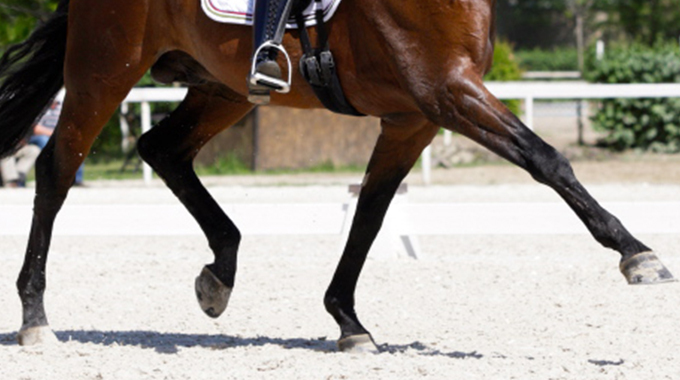 The hoof is an elastic structure which expands and contracts (when a horse’s foot hits the ground the foot expands). If the feet are not properly balanced, this can cause an uneven excessive stress to that portion of the hoof wall. Feet should be trimmed for optimal balance so they strike the ground evenly. 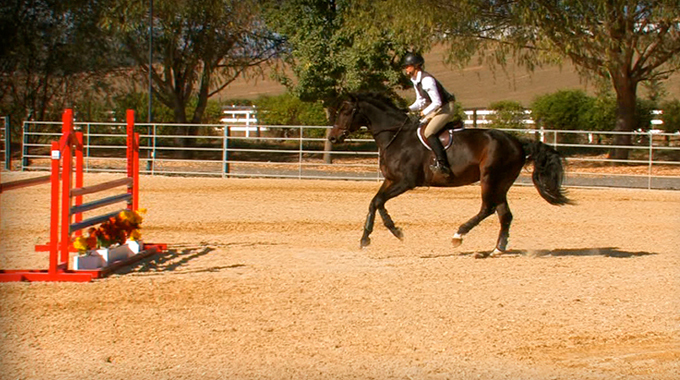 The landing phase of the stride is of the utmost importance. You will want to shoe and trim to relieve stress in the quarter area. 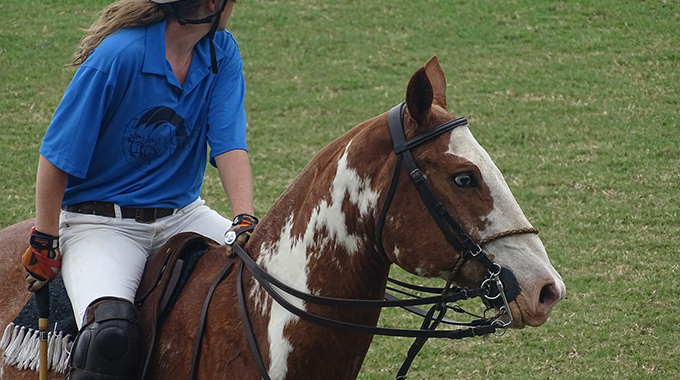 We see many predisposing poor hoof conformation problems, some of which are due to genetics. For example: feet that grow low heels with long toes and have a thin hoof wall. On these types of feet, the hoof tends to grow forward rather than down. Also, overly moist or dry hoofs can be a predisposing factor, as well as defects in the coronary band. 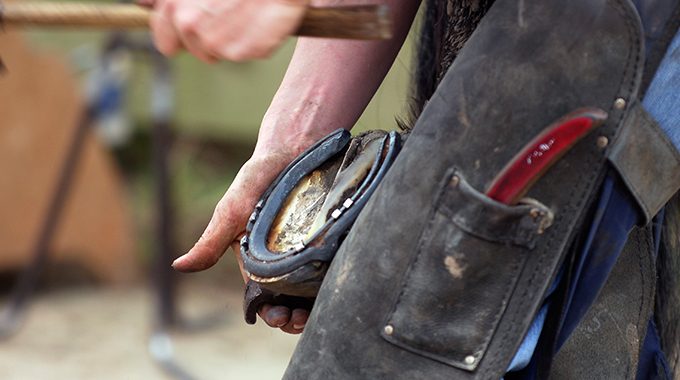 The farrier is often blamed, and this may be unfair due to the many contributing factors involved. I would recommend trimming for optimal balance and increasing the frequency of shoeing. Shoe for central support to create a strong hoof capsule focusing on medial, lateral, anterior and posterior balance. I may also use a bar shoe for stability of the hoof. Float the heel from the base of the crack to the heel so it will not make contact with the shoe. Watch the hairlines of the hoof capsule, they should be parallel with the ground. If they are raised up over the crack this would indicate stress on the quarter of the wall. Spend some time with top Southern California farrier, Blair Cooper, as he demonstrates the proper techniques for dealing with sprung, loose or lost shoes. 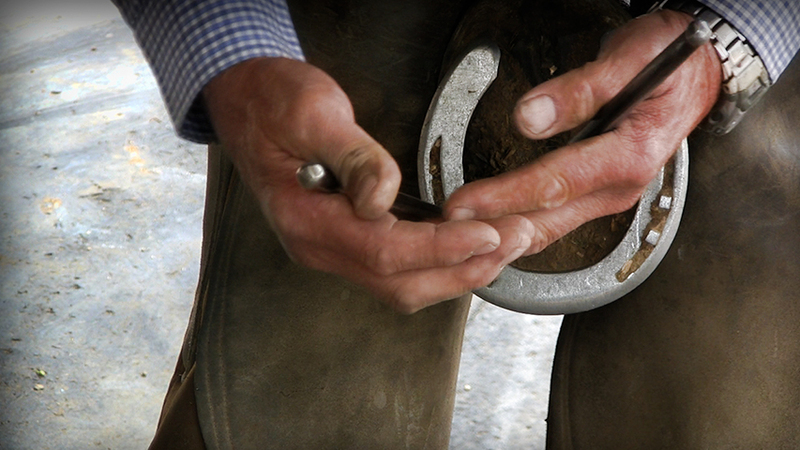 In this video you will learn what to do to keep your horse’s hooves in good shape until the farrier arrives.